The iconic sailing yachts of Italian designer Luca Brenta are back on the market, after being acquired by the Milan based company Luca Brenta Yachts. 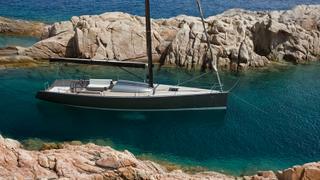 The newly established company will produce and sell B-Yachts, which were previously sold by the now defunct company Studio Associati Luca Brenta and Company. The company has announced that several yachts of the sailing range, including the B30, B38 and B42 and custom models B52 and B60, have already been sold. Meanwhile all new designs will be overseen by Brenta himself. The daysailer designs, which were originally launched in 2004, “epitomise the essence of sailing made easy” by “combining high performance with advanced technology,” according to the company.